Adam Eli and MP5 on their work for CHIME FOR CHANGE, Gucci's campaign to support gender equality. Jenn Nkiru on ‘Black to Techno,’ the fourth film in collaboration with Frieze. 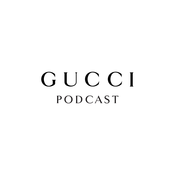 Florence Welch talks about her poetry book in a new episode to introduce Gucci Wooster Bookstore. Gucci Bloom campaign star Hari Nef talks about her struggles growing up. In ‘Growing Pains’ Holly Blakey talks about the emotional difficulties she faced as a young dancer.